Mercator Gold plc, the growing gold producer with operations in the historic Meekatharra Goldfield in Western Australia, is pleased to announce maiden resources for the Euro and Batavia projects. A resource of 2.038Mt at a grade of 1.3 g/t for 83,600 ounces of gold (“Au”) has been estimated for the Euro project, which lies approximately 7km SE of Mercator’s Bluebird processing plant. The Euro resource estimate is based primarily on drilling conducted earlier in the year (see announcements 15 May 2008 and 19 September 2007). The estimate was compiled by mining consultancy, Runge Limited, and complies with the JORC Code. Further work at Euro will be oriented towards bolstering this initial resource estimate by targeting additional deeper level, higher grade material. In addition, the prospectivity of similar structural features identified immediately south of Euro by the recently completed gravity survey is currently being investigated. At the Batavia project, a resource of 318,000 tonnes at a grade of 2.4g/t for 24,200 ounces of gold has been estimated. Mining of small scale shallow underground workings in the early 1900s produced 180 ounces of gold from 276 tonnes of ore.
Batavia is located approximately 6km NNW of the Company’s Bluebird processing plant, and the deposit has the potential to provide feed for the plant in the near term, complementing feed from the Surprise and Bluebird pits. Work is underway to turn the resource at Batavia into a reserve, and conversion of the underlying Prospecting Lease to a Mining Lease is well advanced with approval granted from Native Title claimants. Information relating to Mineral Resource results has been based on information compiled by Mark Csar, who is a member of the Australian Institute of Mining and Metallurgy and is a full time employee of Mercator Gold. 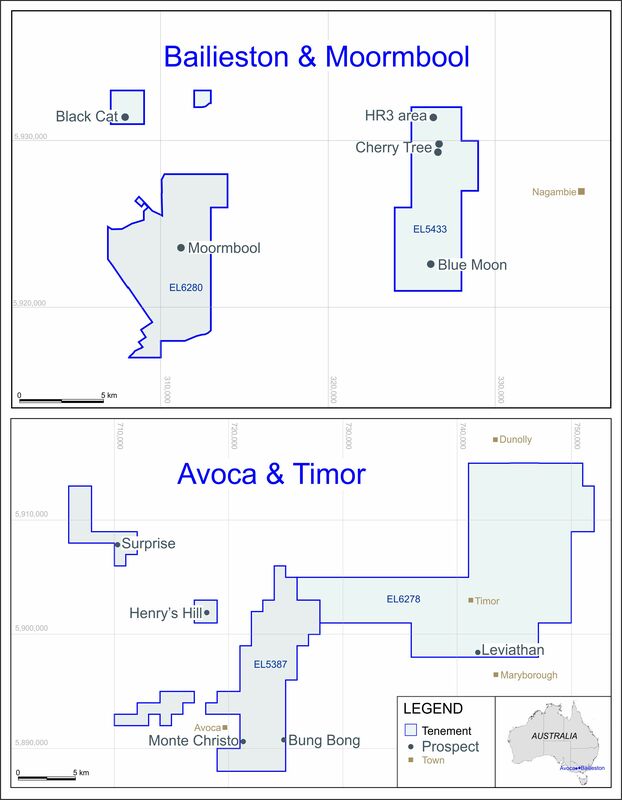 Mr Csar has sufficient experience which is relevant to the style of mineralisation and type of deposit under consideration and to the activity he is undertaking to qualify as a Competent Person as defined in the Australasian Code for Reporting of Exploration Results, Mineral Resources and Ore Reserves (the JORC Code 2004). Mr Csar consents to the inclusion of the information in the form and context in which it appears. The Euro resource evaluation was prepared by mining consultancy, Runge Limited. The Company also announces the placing of convertible loan notes (“Notes”) with an institutional investor to raise a further £200,000. The Notes carry interest of 8.5% per annum, will be redeemed at par on or before 15 July 2011 and are convertible into ordinary shares in the Company at a conversion price of 50p per ordinary share at any time on or after the first anniversary.